Using multiple and innovative distribution channels, our books have travelled across the length and breadth of India. Almost all children across the country are now enrolled in school. Yet, very few of them have access to the good books that elite children can take for granted. 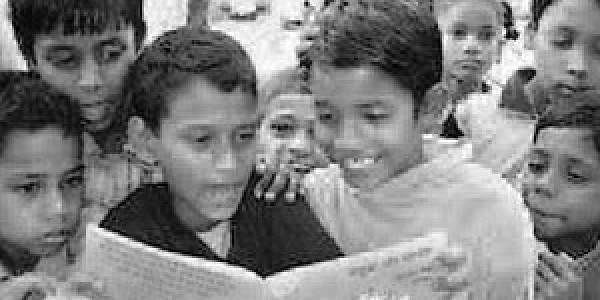 It was bearing with this gap in mind and with the aim of democratising the joy of reading that Pratham Books was set up — in 2004. As a not-for-profit publishing house, our goal was to give access to as many children as possible books in as many languages as possible at the lowest price point and the highest possibly quality. With more than 200 original titles in up to eleven languages — a twelfth, Assamese, is coming up — we have become a significant player in the field of children’s books in India. So far, we have printed 6 million copies of our 1,300-plus multilingual titles. Almost all our books are priced at below Rs 25. As for the quality, we believe they compare with books that are prices more than four times higher. You may not find Pratham Books in too many retail stores, where the overhead costs can skew our intent to price our books low and keep our philanthropic subsidy also within reasonable limits. Yet, using multiple and innovative distribution channels, our books have travelled across the length and breadth of India. To our immense satisfaction, we have got reports of Pratham Books’ content being used for children in conflict zones and disaster zones, for helping mentally and physically challenged children; for children in tribal districts, in slum communities, and in village schools. We believe we have touched at least fifteen million readers, many of whom have thus enjoyed their very first story book. Yet, with around 300 million children needing a wide variety of books, we have a very long way to go before we can achieve the vision of “A book in every child’s hand”. And no single organisation can do this job on its own. It has to be a societal mission. From the beginning, at Pratham Books, we wanted to build partnerships with as many organisations as possible, and work with as diverse a group of writers, illustrators and translators as we could possibly find. Today, our mission has drawn talent from around the country into the fold and thanks to that, we are steadily building a large pool of indigenous, modern, culturally and linguistically relevant content for young children, which complements the steady supply of ever popular mythological stories that can be found everywhere. If we are to achieve both inclusion and scale, we have to keep expanding the circle of both contributors and readers. The only way to achieve this is, we realised, is to create more value than we could capture. Rather than be gatekeepers of content, or content curators, we had to share our platform with the whole world. It was at this juncture that we hit upon the web-based Creative Commons — or CC — licencing model. Through it, authors and publishers can permit the use or repurposing of their content to anyone who wants it. It is a commitment to openness, sharing and co-creation. We now use CC licences everywhere! As many as 240 of our books have been put out under CC. They have been downloaded, printed, rewritten, and translated into many languages, not only Indian languages like Assamese but also Spanish and Chinese and a newly constr ucted language called Lojban! They have been converted to Braille for the sight imp aired and into audio books for the hearing impaired. How else could one organisation have achieved this crossfertilisation? And that too for free? Pratham Books is now an official CC Superhero. For us, though, the real heroes are all those who have been with us on this journey, who have sought out that child who needs to be included in the magical world of books and who have put a good book into her hands.